Karim, Fares and Omar Tarabichi started The Crepe Club as a food cart on the ASU Main Campus in 2014. Three years and three locations later, the brothers are bringing the original cart back to the Tempe campus and handing out FREE crepes to students on – what else – National Crepe Day (Thursday, February 2). On Thursday, February 2 people can get a free Nutella or Parisian (butter and sugar) on the ASU Main Campus in Tempe from 10 am – 1 pm. 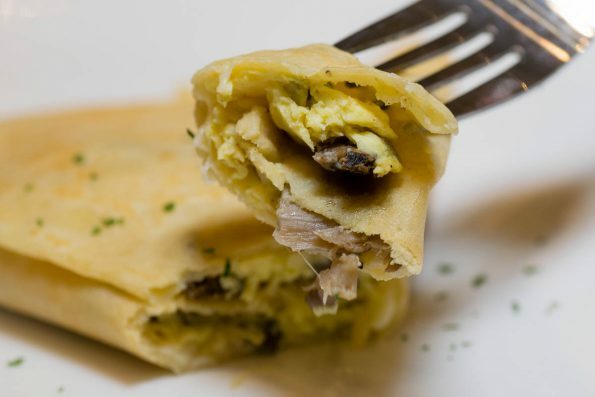 The Crepe Club will also be giving away free Nutella and Parisian crepes at its other two locations in the Biltmore Fashion Park and San Tan Village from 11 am – 5 pm. The offer is limited to one per person and for take away only. National Crepe Day originated from the Catholic holiday of Candlemas, when the Virgin Mary presented the baby Jesus. Over the years it became known in France as “jour de crepes” – or Crepe Day – perhaps because the Pope at the time was known for feeding crepes to the pilgrims who visited the church. Brothers Karim, Fares and Omar Tarabichi started The Crepe Club as a food cart on the ASU Campus in 2014 and now have three brick and mortar locations in Phoenix, Tempe, and Gilbert. For more details about menu, locations and hours, visit The Crepe Club online at TheCrepeClub.com and on Facebook and Instagram @thecrepeclub.